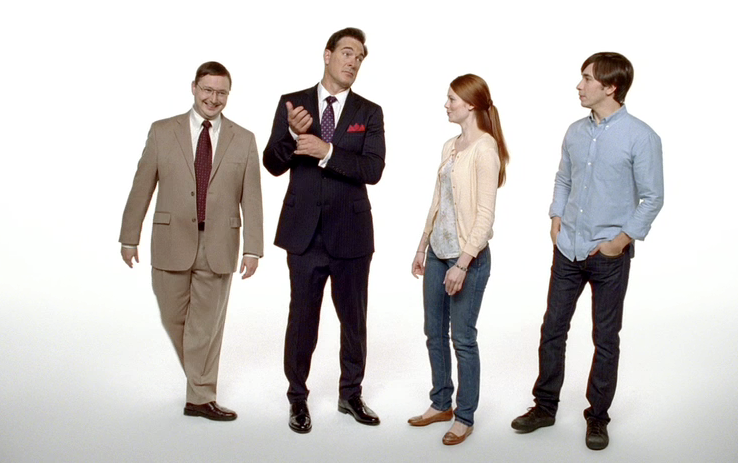 Apple this week unveiled a new "Get a Mac" ad, entitled "Top of the Line," featuring actor Patrick Warburton. Warburton is best known for playing the character David Puddy on the show Seinfeld, as well as starring in the TV series The Tick and providing voices in The Venture Bros. and Family Guy, among many other roles. In the spot, John Hodgman's "PC" character introduces Warburton as the "top of the line PC" to a customer looking for a new computer. She wants a big screen and fast processor, which the PC says he can provide. But when the shopper asks for a computer that "just works" without viruses and other troubles, Warburton says he is unable to fulfill her needs. The shopper, of course, chooses a Mac, but not before Warburton leaves her his card and asks her to call him when she's "ready to compromise." A new study from iSuppli Corporation found that Blu-ray drives have shipped on 3.6 percent of PCs in 2009. In addition, the company predicts that adoption will only reach 16.3 percent by 2013. "They eventually will find success," Michael Yang, senior analyst for storage and mobile memory at iSuppli, said of Blu-ray, "but during the next five years, that success will be limited in the PC segment." The report states the two major limitations of Blu-ray are cost and a lack of a library of movies on the part of owners. Apple's forthcoming iMac systems have been rumored to offer compelling new features, including one that would appeal to the multimedia crowd. That news has led to some speculation that Blu-ray could be coming to Apple machines. In addition, some rumors suggest iTunes 9 could have support for Blu-ray players.